Record DATE, ACTION, ADJOURN TO DATE, CHARGE TO and NUMBER OF DAYS. Printed on a 91⁄2" x 113⁄4", 15 pt. straight cut manila stock. 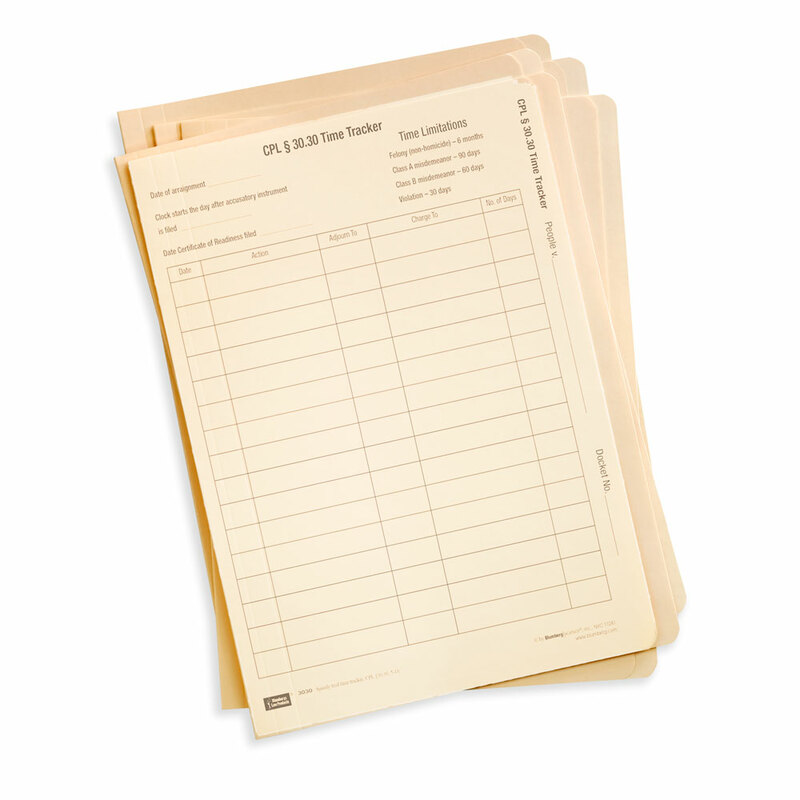 Easy to file and retrieve from your case files. 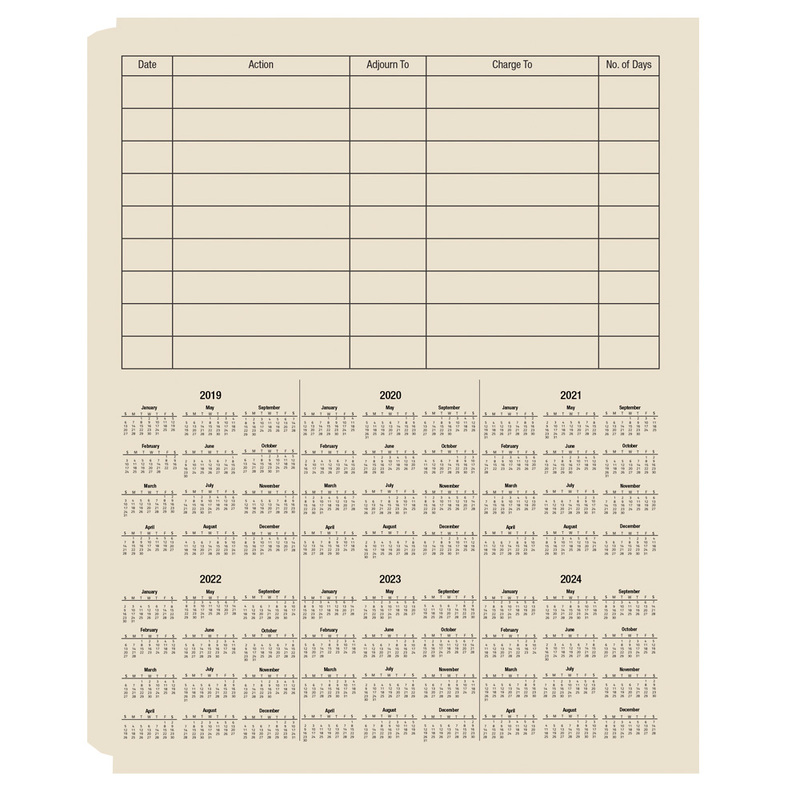 Includes 6-year calendar to calculate elapsed time. Criminal Procedure Law § 30.30, also known as “statutory speedy trial,” requires the prosecution establish its readiness for trial on an “offense” within a specific codified time period after the commencement of a criminal action (which occurs, generally, by the filing of the initial accusatory). 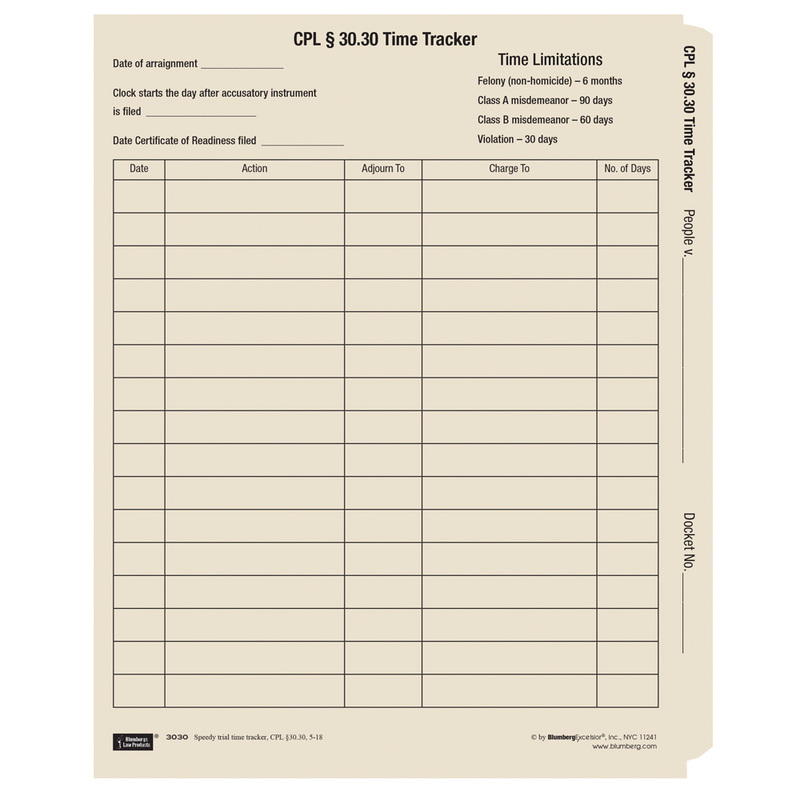 If the prosecution is not ready for trial within the time required, the defendant may be entitled to dismissal of the accusatory instrument, pursuant to CPL 30.30 (1), or release pending trial, pursuant to CPL 30.30 (2). The statute excludes certain designated periods from the time calculation.